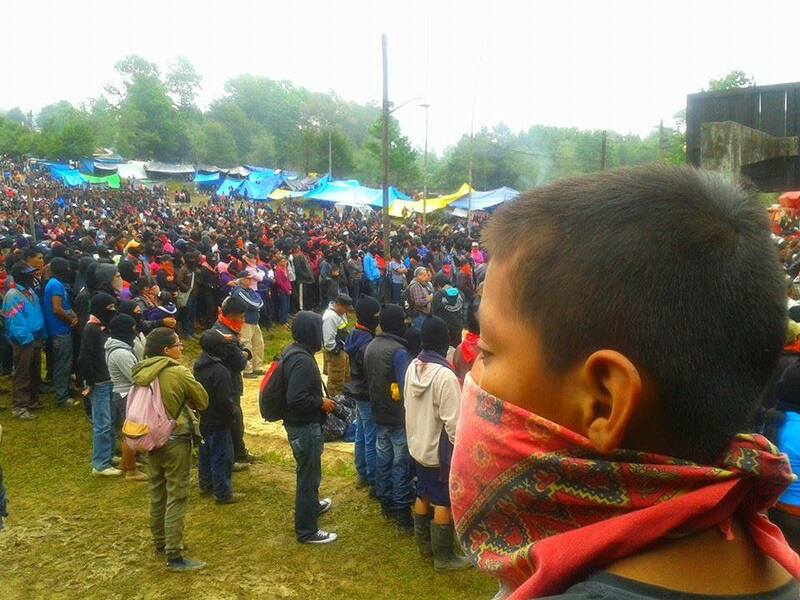 It is an honour to have you with us, the Zapatista bases of support from the five zones. 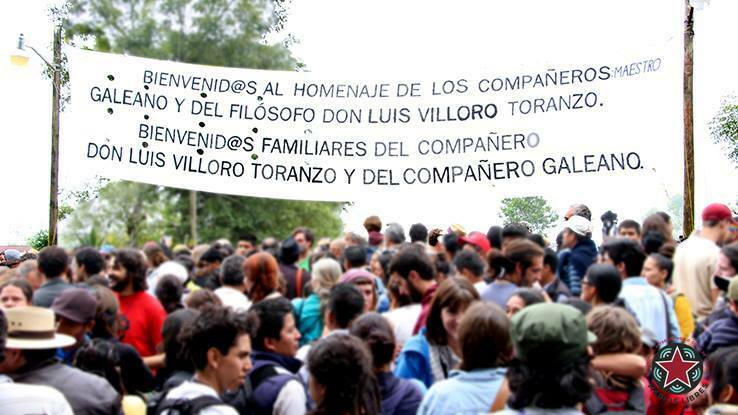 Receive our embrace, compañeros and compañeras of the family of compañero Galeano, and of the family of compañero Luis Villoro. We should honour, and know how to honour, those who deserve it for the mission fulfilled by the compañeros Galeano and Luis Villoro. First he decided to struggle, and later he received support, and then he organized for the actual construction, and then he organized those who would be promotores, and finally he oversaw what the students would need. 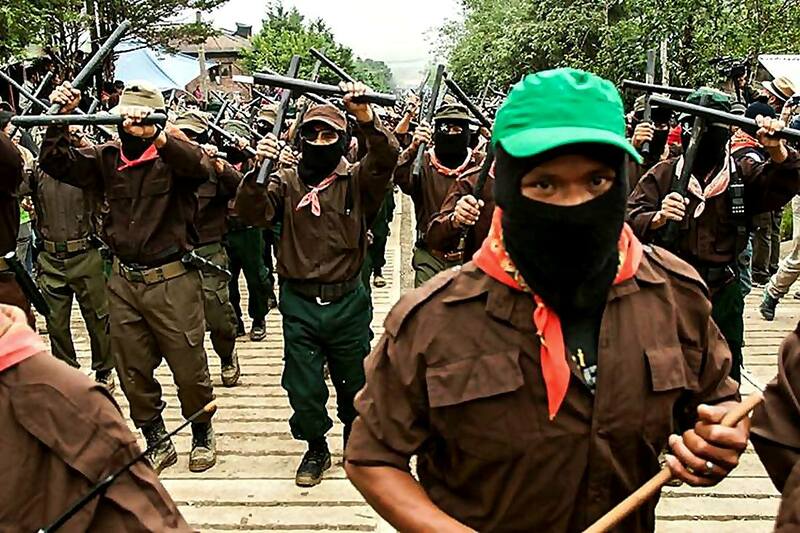 Compa Luis Villoro saw that this is what the Zapatistas were doing and he did not think twice about accompanying us, in struggling and working and supporting the struggle and the organization that the life of compa Galeano represents. 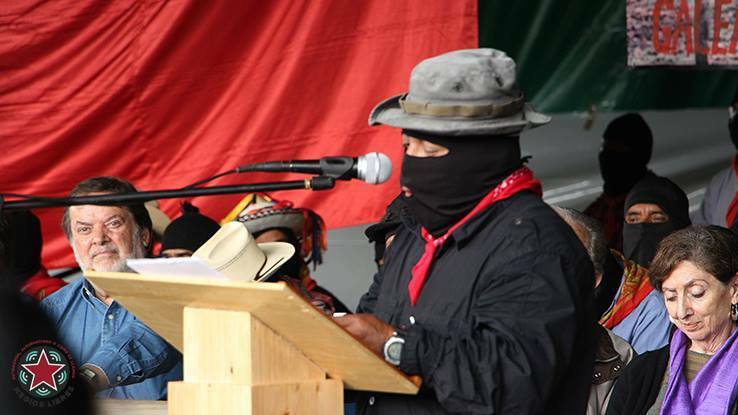 A Zapatista struggles for total change; they struggle all their life and do not give in. That is, their thoughts do not shift with the trends or with whatever is convenient or according to whatever colour is shining brightest in the marketplace. 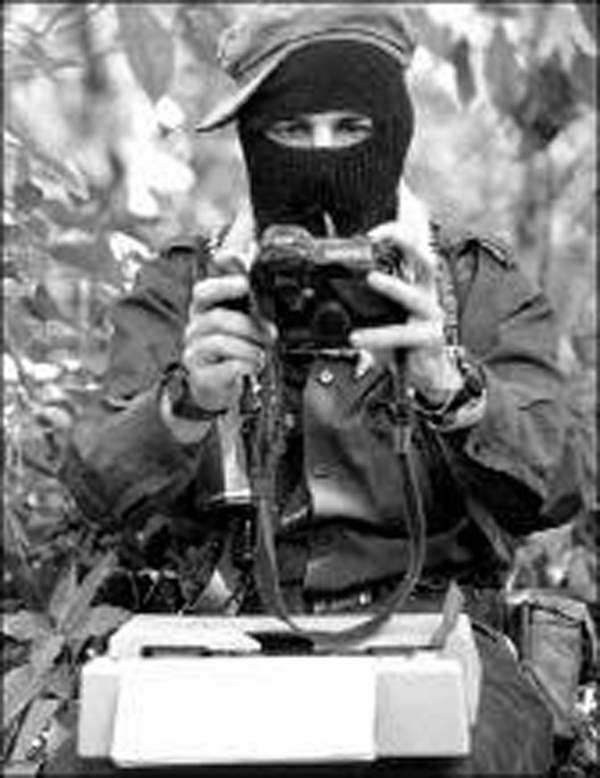 Trying to have it both ways, to be a [political] party-follower and a Zapatista does not make one a Zapatista. Because the party-follower wants to change the colour of the ruler. 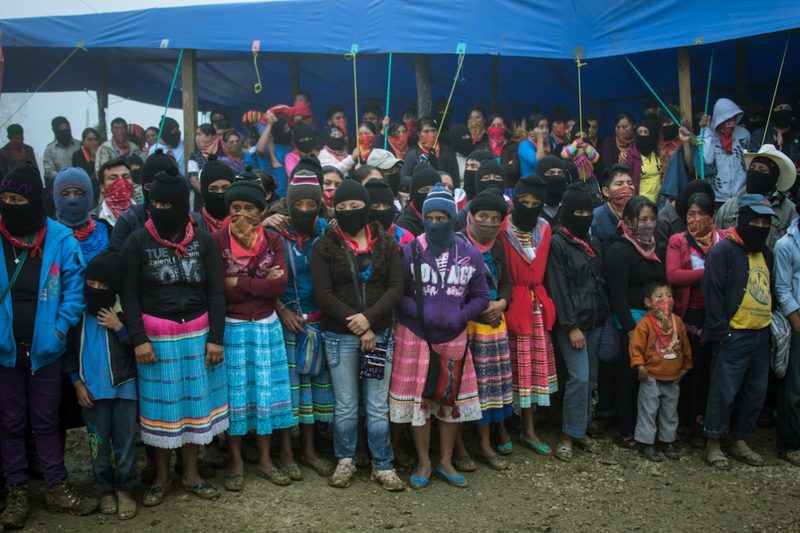 In contrast, the Zapatista wants to change the entire system, not just one part but all of it, so that the people rule and nobody rules over them. There isn’t anyone who says “you’re done.” Rather, one must continue to struggle until death to fulfil the sacred duty to liberate the exploited, and even after death you continue in struggle.